Standing poses are the main focus of most classes. They improve the body’s stamina, strength and flexibility. Every week specific sequences are given via clear and detailed instructions helping students towards a safe practice as well as according to individual requirements. Poses can be held for some time and the needed precision in their execution will call for full attention. This aspect of the Iyengar Yoga method will, over time, increase the ability to focus and concentrate. Expect the class to be demanding but also refreshing for the body and the mind. I have been practising yoga and meditation since 1989. Over the years she I've worked with, been inspired and influenced by many wonderful teachers whose knowledge and teachings have enriched my practice - Erich Schiffman, Sharon Gannon and David Life, Shiva Rea and, currently, Sarah Powers. I completed a Teacher Training Course with the Bihar School of Yoga (Satyananda Yoga) under the direction of Swami Vedantananda and assessed by Swami Pragyamurti, the Principal of the School. This course is recognised by and is accredited with the British Wheel of Yoga. The yoga I teach is a mix of the Yin style (focusing on the gently held postures that work on the connective tissue of the hips, pelvis and lower spine) and the stronger Yang practise that emphasizes muscular movement and contraction. The combining of the two helps to create a balanced practice "on the mat" which can be helpful in balancing our life "off the mat". There is much emphasis on the flow of the breath and how we allow the breath to be the initiator for the movement of the body. The sessions also include pranayama, relaxation and visualisation practices plus nada yoga and meditation. The Taoist concepts of Yin Yang describe the two qualities or energies present in everything, one cannot exist without the other - they're interrelated and relative. Yin is the feminine principle and its qualities can be thought of as more internal, passive and cooling, while Yang is more external, dynamic and warming. The class begins with a Yang practice which is dynamic and energetic, targeting the muscles and breath and improving strength, fitness, balance, tone and stamina. The class will end with Yin practice, with the purpose of surrendering, with the support of the props - bolsters, blankets, straps and blocks. Yin yoga is deeply relaxing and nourishing, designed to target deep connective tissue (by application of long, slow deep holds) and therefore aides healing by stimulation of the nadis / meridians which ultimately loosen energetic blockages and increase energy flow to the regions upon which are worked on. The focus is on softening and relaxing the body in passive stretches held for an extended period of time. In this class we will be working with longer holds and using a wide range of props to ensure that each pose is entered safely and comfortably. We will explore finding our edge within postures, and consciously holding back from that edge, to allow for long holds. 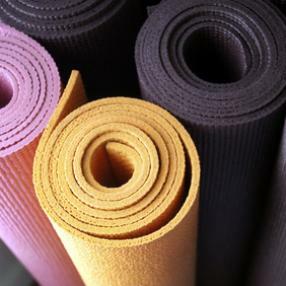 Yin yoga is a great accompaniment to a strong, regular dynamic yoga and or pilates practice. Suitable for beginners and those with more experience. 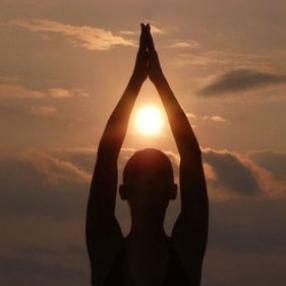 Glow Yoga Bliss classes have been specially created to nourish you back into balance. Candlelight creates a beautifully tranquil atmosphere and the studio is gently heated by infrared to encourage the body to open safely and soothes stiffness and muscle soreness. Bliss classes have been designed to rid you of everyday stress and to nurture the sympathetic nervous system with a carefully constructed series of poses, calming or revitalising breathing techniques and mindful, flowing movement. Poses are supported with props, to encourage the body to release and open without tension. Poses are often held for several minutes with relaxed musculature to encourage fascia, connective tissue that is found everywhere in the body, surrounding bones, muscles, ligaments and tendons, to ease and open. This results in deep releases into tight spots and areas of holding, a deeper connection with the breath as the diaphragm and intercostals muscles become less constricted and a calm awareness of mind. Bliss classes impart a profound sense of renewal, relaxation and well-being and are the perfect counter balance to modern day stress, anxiety and fatigue. Bliss classes are suitable if you are recovering from injury or illness and are for all levels of practitioners, from beginners to the more experienced. Class starts off with stretching exercises followed by rhytmical vibration to ancient drumming music. By improving the vibration of your cells you can heal many hidden ailments and relieve stress most easily. After we reliese old stagnant energy we hold accumulation posture to gather new fresh energy in lower abdomen. This Friday night candlelight class is the ultimate way to unwind and get ready for your weekend. Designed to de-stress and rejuvenate by releasing out the kinks in your body and mind. 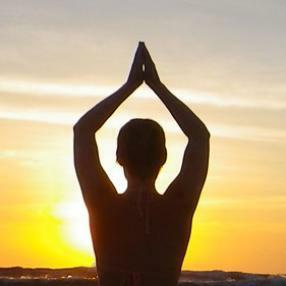 The Baoli Yoga classes offer a fusion of Hatha and Vinyasa Flow Yoga. You’ll be guided through a sequence of beautiful and creative yoga postures, breathing exercises, meditation and relaxation, combined with aromatherapy and the energetic treatment of Reiki. This gentle class focuses on breath and encourages you to linger in poses for longer in order to facilitate deep relaxation in a caring and supportive of bolsters, blocks, blankets and cushions are used throughout the practice to create comfort. Restorative yoga is suitable and encouraged for all levels of fitness and complements a more vigorous yoga practice so everyone can benefit from this nurturing environment. Traditional Hatha yoga class based on the Sivananda sequence. Incorporating restorative yoga and deep relaxation.